Forget all the norms and move forward with the VECO Tank. Vaporesso avoid traditional design and create their own sub ohm tank for impeccable performance. Vaporesso utilise a highly effective top airflow system which stops the risk of leakage and minimises the chance of dry hits, for optimal performance every time. Everything you need is included as part of the VECO tank and it is fitted complete with a Delrin drip tip and 2ml e-liquid capacity. 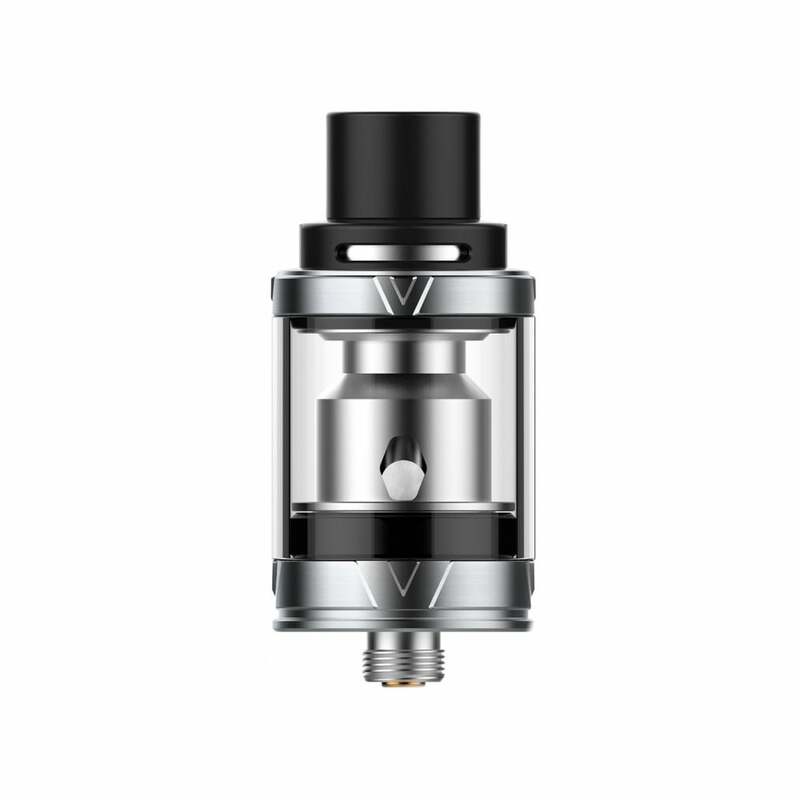 As well as no risk of leaks, the Vaporesso VECO Tank is designed with to avoid overfilling. Control your vape performance with the simple pinch of your fingers and a swivel of the adjustable top airflow. Change coils even more easily, as you simply unscrew the base, pull out the middle core coil and pop in a new one. Only replacing the coil means its quicker and easier to use than alternatives. A great sub ohm choice from the Vaporesso tanks range, the VECO works with a wide range of box mods and makes it easy to enjoy your favourite e-liquids. Very good item for daily use at the office. This came with my vaporesso tarot nano kit - it's decent for a backup/ on-the-go tank but both vapour and flavour are nowhere near good enough for daily use (compared to a Cleito 120 tank). Have tried 0.5ohm ceramic, and 0.4ohm regular Clapton with it. Coil system is great though, just a shame about the main features. With the 0.5 ceramic coil simply the best for flavour. Very simple to fill and change coil. The best sub-ohm tank on the market. Period! Flavour is fantastic. Ceramic EUC coils are amazing, last ages and produce truly stunning flavour. (Far, far better than the old Vaporesso CCELL ceramic coils). And the coils are the cheapest on the market. It's just a must have.